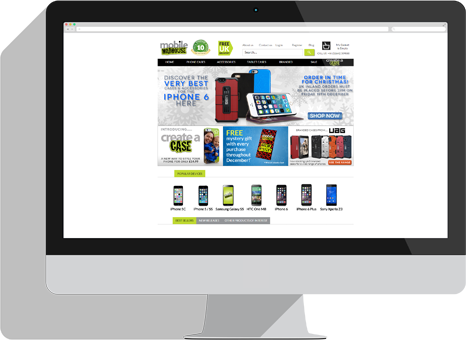 Leading online phone case and accessory retailer Mobile Madhouse initially approached Pea Soup for help in improving SEO. 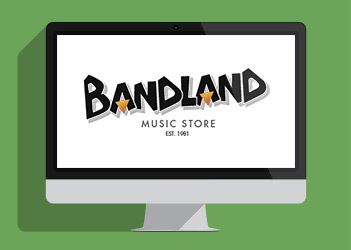 Things went well, which was good because we’re buddies now and have a working relationship that has seen our team introduce a range of other services with great success, including paid search channels, the set-up and running of e-mail marketing campaigns and full management of affiliate marketing. Following an initial SEO audit, Pea Soup pin-pointed a number of key areas where improvements could be made on MobileMadhouse.co.uk, who were happy for our SEO team to work their magic. 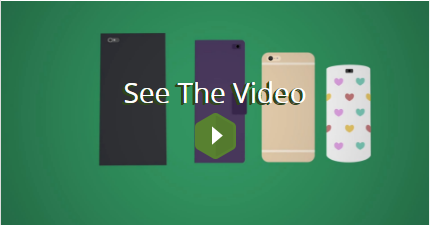 After optimising content on blog and landing pages, we introduced the idea of infographics. This happened to be a masterstroke, resulting in a surge of highly relevant links from respected industry websites and increased domain authority. 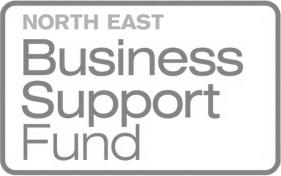 Traffic and revenue increases are a direct result of these improvements. Pre-Pea Soup, Average Order Value (AOV) caused some frustration for Mobile Madhouse, with low value orders preventing any kind of sustained return on investment (ROI) through Google AdWords. Fortunately, as the stats show, this is no longer the case. Through reorganisation of the campaign structure and a highly targeted approach to PPC, things are looking up. Not only has ROI improved, overall click-through rates (CTRs) and conversion rates have taken the account from the red to the black. 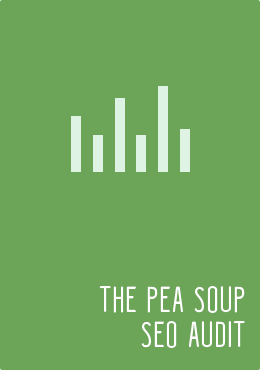 Whilst we were on a roll, Pea Soup also introduced Google Shopping campaigns, Dynamic Retargeting and Display Network advertising to ensure complete paid search coverage. 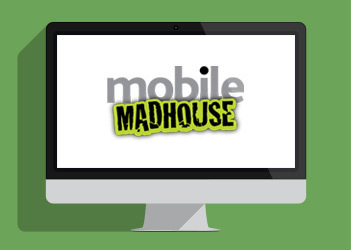 Mobile Madhouse never ran email marketing campaigns. Now they do. 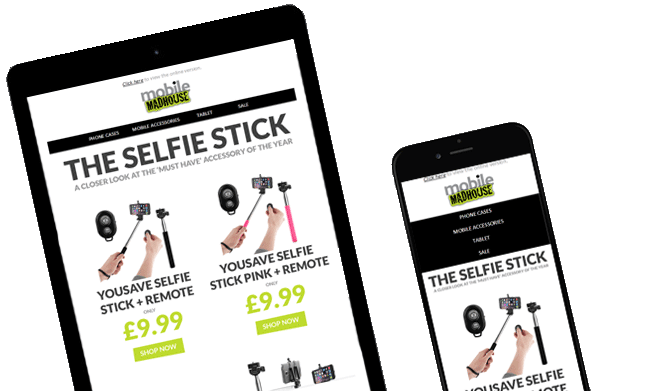 By creating an entirely bespoke campaign, complete with a fully responsive design template, subscribers increased by 500% in three months, open and click-through rates have doubled and mobile conversion rates have soared by 800%. 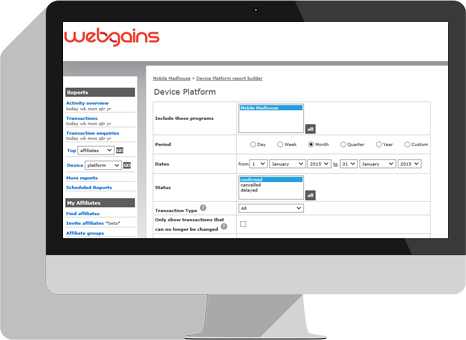 Having dabbled in affiliate marketing through the Webgains affiliate network, Mobile Madhouse was on the verge of giving it all up due to poor performance. All hope wasn’t lost though. Having convinced the Madhouse team of our affiliate marketing prowess, Pea Soup targeted some key new affiliates and impleted a regular communication strategy to increase exposure. The result? 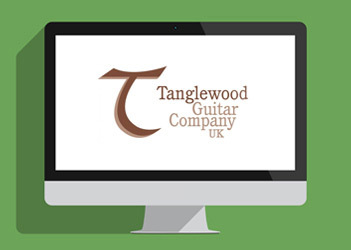 A doubling in traffic, 11-fold increase in conversions and 2500% increase in revenue. 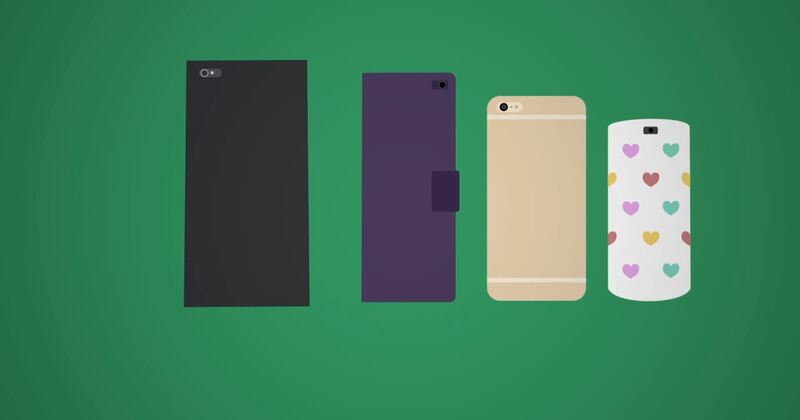 Watch our animated introduction to the mobile phone accessory website.